Parts of the U.S. is getting slammed by a massive cold front, and touch screens don't always respond well to gloves. Why freeze, just to use your smartphone? AppleInsider has options to keep your hands warm, and still take that call from your mother! All six of these options have either been used by AppleInsider staff, or come highly recommended to us. There's cold, and there's cold. 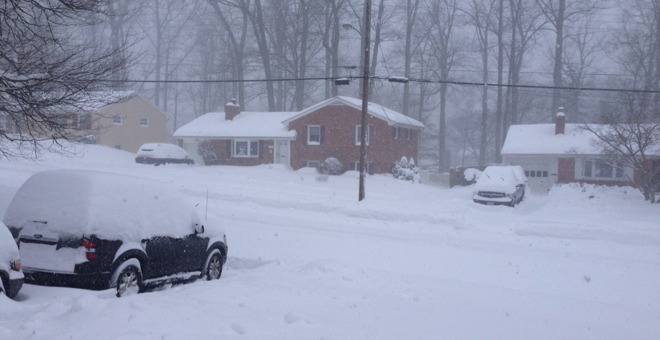 If you live in a climate with the latter, Timberland has an option. Available in four colors, and three sizes, the gloves eschew the "whole-glove" conductivity that earlier options sometimes include to the detriment of insulation, giving only conductive pads on the user's index finger and thumb. 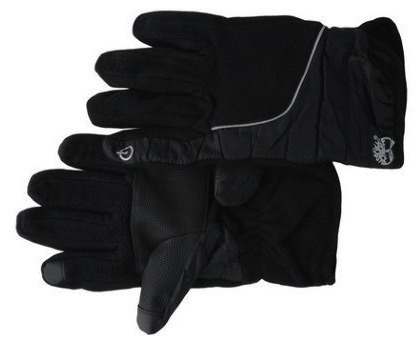 The Timberland Men's Fleece Windproof Glove with Touchscreen Capability retails for between $25 and $35 at Amazon.com. It's pretty apparent with some smartphone gloves that you're wearing a special set of handwear so you can use your phone. If you'd rather go a little fancier, Ralph Lauren has a leather glove, lined with wool and nylon to keep your hands warm. Like the Timberland option, the glove has a special pad on the thumb and forefinger, but there's a slit on the outer wrist to give the user a little more mobility overall. 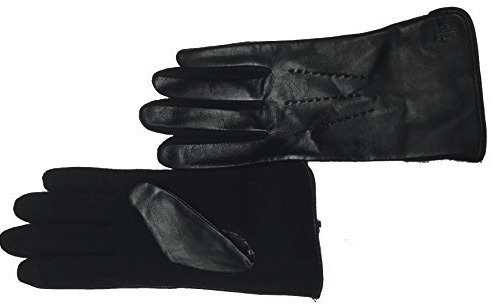 The Ralph Lauren Black Leather & Wool The Touch Gloves come in small and medium sizes, and retail for $65. Prices start at $62.99 with free shipping at Amazon.com. Style is good, and all, but sometimes you've got to go shovel the walk, or change a tire, and the ability to answer your phone is still good. 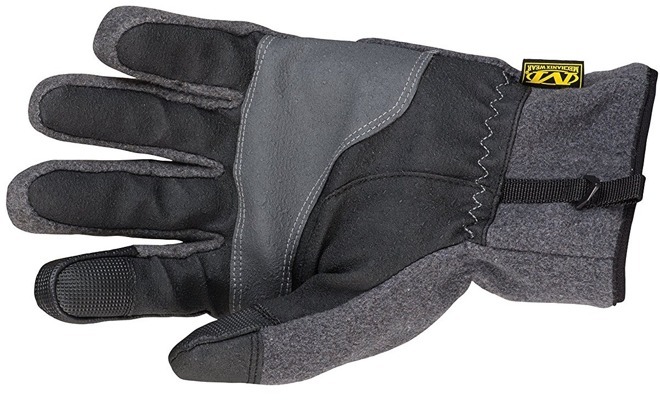 The Mechanix Wear Winter Wind Resistant gloves have nylon reinforcement, are Thinsulate-lined, and come in a wider array of sizes than some other models. While the Mechanix Wear Winter Wind Resistant gloves retail for $25, your size may be less expensive. It's bad enough that ice lines the sidewalks, making a fall and a smartphone disaster more probable. If you're already known as "butterfingers," that makes it worse. The Agloves Grip Touchscreen Gloves not only are conductive for use on your iPhone, but also have "strategic gripper dots" on the palms of the gloves for a better grip! 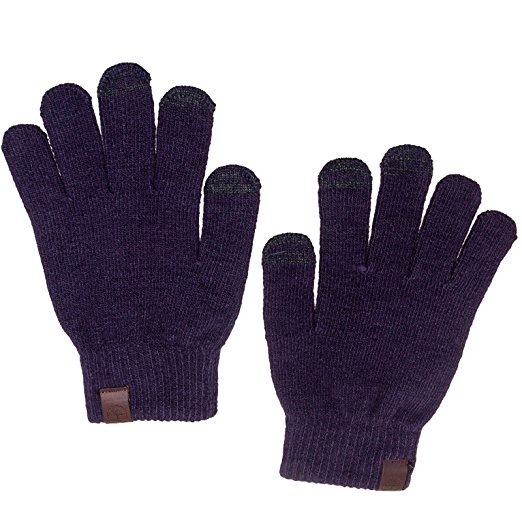 Agloves Grip Touchscreen Gloves retail for $29.95 and come in one color. If you leave your gloves on the subway, or have a habit of dropping them, get a few pairs for the price of one. You won't have a lot of size options, but you'll have more gloves to blow through. 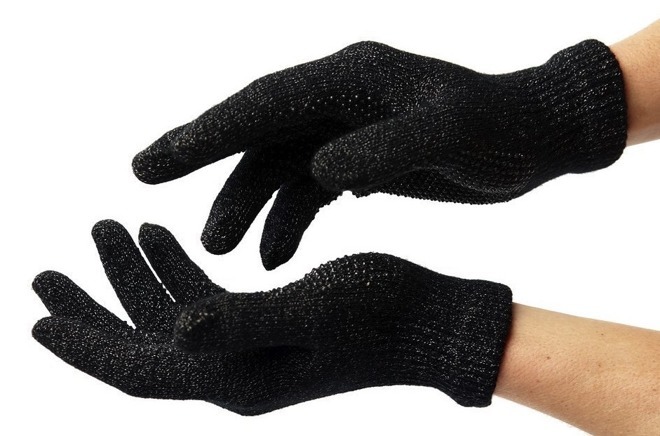 The wrap-around conductivity pad on the finger-tip means that the gloves aren't handed, and you can buy five pairs, and lose eight gloves before your hands get cold! The Timberland Mens Commuter Texting Gloves have only one size and stretch a lot, and come in four colors. The gloves retail for $8, but are often on sale for $7.49 a pair. Riding a two-wheeler in the winter can be hazardous. Not only do you have to watch for the meatheads who haven't completely scraped the ice off their car and can't see you, but incompletely plowed roads are a problem too. All the protection you can muster is a good thing. 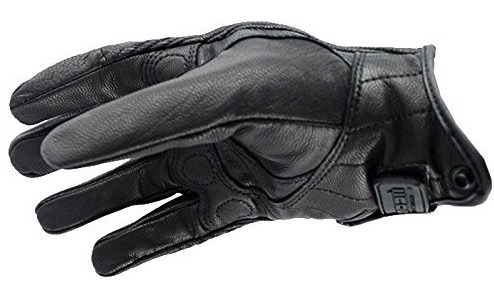 The Icon Mens Non-Perforated Pursuit Stealth Street Motorcycle Gloves feature integrated knuckle armor, a secure wrist closure, and a goat-skin leather palm overlay, in addition to conductive pads for touchscreen use. The gloves come in three sizes, and retail for $69.99.